Sure, we’ve all had a few of those moments. I know I sure have. I’m talking about the repeat offenders that for whatever reason, consistently seems to make errors in judgment that most reasonable people wouldn’t make. We can excuse teenagers. I saw on Frontline that their brains that haven’t fully developed yet, so their judgment is naturally impaired. Even if that’s not true, as a parent, holding onto that belief helped me survive the teen years. Elderly folks get a pass too. Cognitive ability starts to slow down, and unfortunately, a lot of creeps take advantage of this and make a living trying to con the elderly. Sometimes “a lack of common sense”, or “errors in judgment” is used as an excuse for really bad behavior (Tiger, Ben, Eric, John). Sorry guys, but I don’t buy it. That kind of crappy behavior means a lack of a moral compass, not a lack of common sense. I’m sure intelligence has some sort of relation to common sense, as well as experience. Sure, if you’re dumb as dirt, you could be expected to make dumb decisions. Although some very smart people seem to lack common sense. If you’re brand new at something, you’re going to have to make a lot of mistakes before you can learn what not to repeat. Experience matters - just ask the passengers of flight 1549. So, in the workplace, what we’re left with is the reasonably intelligent, experienced, well-meaning, 30-65 year old manager or co-worker that consistently makes the wrong call or says the wrong thing at the worst possible time. As a leader, coach, trainer, teacher, parent, friend, or co-worker, is there ANYTHING we can do for this person? I think the first step is to recognize there’s a problem. With consistent and caring feedback – and after getting burned repeatedly – someone might have enough self-awareness to step forward and declare “I’m lacking common sense, and I need help!”. Without taking that first step, I’m afraid there’s no hope. Your manager, client, or co-worker is destined for a career full of boneheaded moves. However – IF someone is willing to step up and seek help – can we help them? Can you learn, or teach someone common sense? 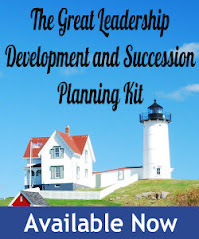 I poured through my leadership development reference books and did a Google search, and along with a dose of my own “common sense”, here’s what I came up with for a development plan. I have no evidence that it will work, but I sure learned a lot and had fun researching it. Many errors in judgment are a result of impulsive, hasty decisions. If you know you’ve got a problem with common sense, you’ll need to sacrifice decision speed for decision quality. When in doubt, sleep on it. At least one night, maybe two. OK, maybe a week. If there is any doubt that what you’re thinking of saying might be taken the wrong way or get you in trouble, then don’t say it. Yes, you’ll be less talkative, less funny, and find yourself bleeding at the mouth a lot, but that’s a lot better than having your foot in your mouth all the time. At least I think it might be – actually, both sound pretty uncomfortable. Before you send that email, have that conversation, spend that money, or whatever other train you’re about to wreck, seek out the advice of others. Test the decision with your manager, peers, direct reports, or anyone else that can give you honest, constructive feedback. Then, make sure you listen to that feedback. 5. Take a personality assessment. Take the MBTI, DISC, Hogan, or some other credible personality assessment in order to identify your natural tendencies and biases, and how those tendencies may be influencing your analysis, judgment and decision making. It’s even better, maybe even required, to have a professional help you interpret the data. In this case, I’d even go as far to say get a coach with a clinical background. Someone that can help you examine your thinking process, a sounding board to test pending decisions, and someone to slap you in the side of the head. 7. Find a role model. Find someone you admire that always seems to make the right decisions and ask how he/she does it. Walk through a number of examples of decisions they’ve made, and ask them to explain their thought process. 8. Read a few books on judgment , decision making , problem solving , and/or critical thinking . Will all of any of these work? I honestly don’t know, however, I don’t buy into the notion that anyone is “hardwired”. People can change if they want to and are willing to work at it. I really want to hear from my colleagues in the people development biz. What do you think? Can common sense be learned or taught? Interesting post for sure. While all 8 steps look like ways to improve our common sense. I think you hit it dead on with the last sentence. People must want to change. If not, following the pattern will not provide the intended results. This is true for most issues, not only common sense. I really have to put in a vote for self awareness as the first step. I've had some pretty interesting clients over the years, and dare I say....some with little (or none) common sense. Most or all didn't even realize it. But once they know it, and get some feedback on the silly or awful things they are doing, I believe many/most can change. my concern is that common sense becomes a subjective term. Where people think that all people should think and act like them. This is the same as saying "he is not normal" where this normal is "like me". Your 8 steps are great steps in the process of reflection...I feel that leaders/managers and team members need to have training and be encouraged to think critically about choices. Additionally I wonder if the person who is lacking what you called common sense is fearful, needs greater skill base, or perhaps this person is in a culture that has punished him for making choices. Can common sense be learned? Interesting question! Personally I believe that "common sense" is a shared perspective of good judgment that people with common experiences develop. The ability to learn which behaviors best facilitate our desired outcomes from those situations creates a collective understanding of "common sense." Based on the above, I believe that a key to developing common sense is the ability to learn from past experiences and apply that learning to future situations. If we can build the skill of learning (yep, it's a skill in itself) in people, we can help build their "common sense." Interesting topic Dan. We certainly get fresh examples every day of the "What in the hell were they thinking?" scenario. What seems to be missing in most situations like that (including my own when I stumble) is the practice of self-reflection or self-observation. Socrates said the unexamined life is not worth living. Smart guy, that Socrates. A lot of the suggestions you made are right in the wheelhouse of developing a practice or routine of self-observation. There are lots of ways to go on that front. As an example, Tim Gallwey's STOP (Step back, Think, Organize your thoughts, Proceed) is a good method for regular reflection and observation. Whether it's that method or another one, it seems the main thing is to have a routine of self-reflection and observation that one follows. Interesting, original idea, and stimulating comments. One additional thought on what can be learned / taught: Some, "What were you thinking?" behaviors may come from wired-in difficulty in recognizing consequences of personal actions (e.g., Asperger's syndrome, perhaps). Sometimes these behaviors come from otherwise brilliant people (like Lawrence Summers, chief economic consultant to the president, who was forced out as president of Harvard for a long series of irrationally insensitive actions). Many of these people are well aware that their past actions lack good judgment and common sensitivity -- and surely don't want further humiliations -- but have extraordinary problems learning from their experience. Good post. I agree, identifying the problem is first and then wanting to do something about it is essential. Common sense is about balanced thinking. From what I have seen, a lack of common sense stems from a lack of perspective. A person lacking common sense is too inwardly focused. Their outlook is too narrow. They are trapped in a closed-loop kind of thinking. Lacking the perspective that an outward looking person possesses, they can’t perceive reality. They only see life and situations as they affect them. Thus their actions and thinking are often unreasonable, out-of-sync—and lack common sense. It affects us too in that we can become so tightly focused that we lose our ability to apply what we learn generally to our own lives specifically. Hi Dan, I think your 2-8 of your steps would benefit anybody/everybody, since they would tend to improve the overall quality of the action/decision. Seems that the same would apply to common sense. Wow, great comments! Just what I was hoping for. Thanks. I agree, that's true with development in general. Thanks. So it was feedback that gave your clients that awareness? I get what you're saying, it is subjective, and a lot depends on company culture and/or the risk tolerance of the manager. Great points! Well done, thanks for your perspective. Love the point about learning to learn. Great advice on self-reflection, and thanks for the STOP tool. Thanks, good point. You’re right, there could be any number of medical reasons that could contribute to poor decision making. Thanks, that’s something I had not considered, but sounds like a few people I’m thinking of. How true! Thanks. That’s also why poor managers have a hard time assessing leadership potential. In regards to your question, I believe self awareness comes in a couple of ways (with my clients). One is feedback - 360's and interviews I do with the "stakeholders" surrounding the person is one. Another is a good self-assessment such as MBTI and help with interpreting the results. There are probably many other things that work but those two come to mind for starters. "He who does not have common sense at age thirty will never have it." "I don't know why they call it common sense, because it's not so common." In response to Dan's mention of "Asperger's syndrome, perhaps" Makes me think of the movie "Mary and Max" and my step son who is autistic. Neither can "learn" common sense . . . they can learn or program themselves to do things without ever understanding what is behind it all. I tend to feel that common sense requires understanding - getting it. That said, your 8 points go a long way to help individuals "behave" in a socially and mature manner. But I am afraid in many instances the lights may be on but no one is home. I am on the side of the proverb - if your older than 30 . . . does this make me cynical? Love this discussion - many great ideas! Getting people to change (learn "common sense" or anything else) typically requires to get them first to the "Conscious incompetence" stage"
Good essential question here! I think that inherent personality plays a big role, but I'm also a firm believer in people's ability to change. But, as you said in your first point, the person has to admit that they need change, and THAT, for certain personalities, is akin to impossible. I would define "common sense" first. Are they in an environment where "everyone is doing it" and they are the only one doing it so publicly that they get caught? For example, if 70 mph is the flow of traffic and 55 is the speed limit, what lesson can you teach a child that got a ticket for speeding? The lesson would be different than if they were flouting the law and weaving in and out of the lanes. Who is in their cohort and how are those people behaving? This is very interesting. How about being laid off after a 38 career via CELL PHONE VOICE MESSAGE. I worked for a company for 30 years which was bought out by Ohio Displays Inc. in Cleveland. After 8 years there I was delivered the news of a permanent lay-off via cell phone..and not even a conversation...by message left in voice mail. Now could there be common sense involved here or just plain lack of respect? Great post Dan! I think the main problem with common sense is that it is not all that common. It's a very relative subject. What is common sense to me might not be common sense to other people. Is it common because it's common among majority of people? What defines majority if this is the case? I can think of a few example where some majority of people have made some boneheaded decisions that does not make sense to me and other people. I know in these examples I was in the minority. What I'm trying to say is that there are examples like ArdRi35, that anyone could look at it and agree the guy who laid him off didn't have a shred of common sense. In this case I don't think his manager would have problem admitting that he is wrong. But I think there are cases where you can't easily admit that you didn't use common sense. That’s a good learning model to know, thanks. Thanks. The examples and people I’m thinking of were pretty clear, not so subtle. I’m sorry to hear that. That’s horrible! Right, I get it. Going back to what Kathleen and others have said, it is subjective. From a classical perspective your post seems waterproof. :-). Common sense can be seen as prudence, practical wisdom, an ancient virtue (i.e. positive character trait) and, thus, we face the age old question whether virtue can be tought. As virtue is a CHARACTER trait, it certainly can be learned. Your character can change, your temperament can't, to use the classical view on personality. After all, it still always boil down to change from within. What a classic POV. Love this post! Nice post. But I have to disagree on the statement ((I’m sure intelligence has some sort of relation to common sense, as well as experience. Sure, if you’re dumb as dirt, you could be expected to make dumb decisions. Although some very smart people seem to lack common sense.)) In order to be "intelligent" you have to have more knowledge than the average person. But the question is how exactly does knowledge or intelligence effect common sense? Does it? I don't think one can expect another to make dumb decisions simply because in order to BE dumb one has to DO dumb. You can't have one without the other. There is not one person I know who could predict an unpredictable decision. I believe the reason we EXPECT people to make stupid decisions when they haven't yet is because of our own bias, prejudice and ignorance. I love posts like these so keep on keeping on!